Encourage quality design for all homes in order to match the vision of a high quality residential development. Add value to your house and neighbourhood. Help create an attractive safe and comfortable place for you to live. 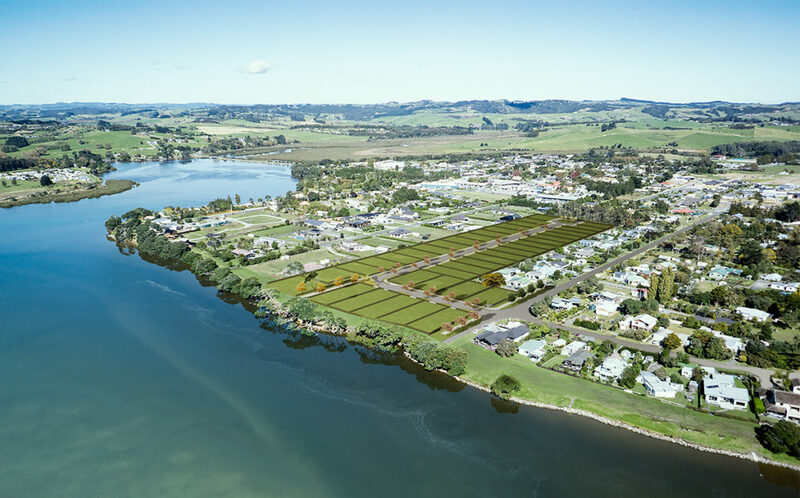 A key objective of these Guidelines is to ensure a high quality built environment and to limit development to an appropriate and coordinated palette of materials in keeping with the Whai Awa setting and the coastal settlement location of Mangawhai. A premium residential development offering a unique lifestyle experience. The design of Whai Awa is a positive departure from typical subdivision design in the area. The plan for this subdivision places a strong emphasis on urban design with high quality streetscapes nestled in a beautiful natural location. Sustainable stormwater rain gardens treat surface run-off from paved areas and add to the quality and beauty of the streetscape. Amid a welcoming community and recreational paradise, Whai Awa offers the perfect fusion of seaside tranquility with all the amenities of village living. Gazing out onto the Mangawhai estuary, this aspirational address offers something truly special in a vibrant and high-growth region. 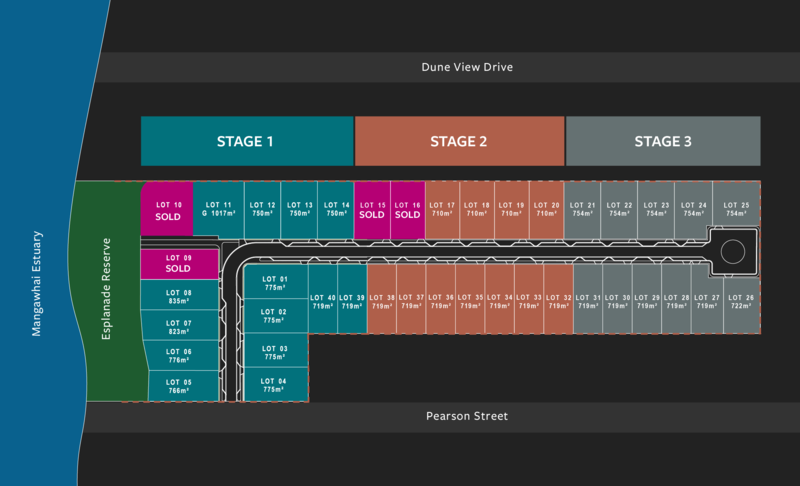 Stage 1 is now on sale!